Asbestos is one of those things you do not touch. It’s a significant health hazard, and finding it in your home is an excellent way to be at risk. If you see it, there are some procedures and rules to follow before the asbestos removal Perth crew arrives. These are not guidelines. First, you will want to conduct a visual inspection as you call the removal crew. Check if the condition is any good. If it’s not damaged, there’s a good chance you can leave it alone until the crew arrives. Check if there are other ways to cover or contain it, like painting over and sealing. Finally, consult the local laws and regulations. These can offer insights. 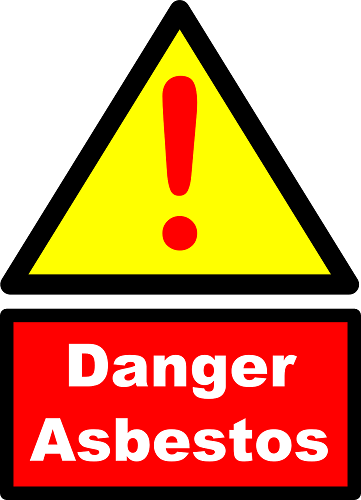 If you think whether or not o get a licensed crew for asbestos removal Perth, think no more. You need one. Here are also other things to remember. These are very important because they could prevent the spread of the fibres and contamination of the area. Whether you encounter damaged or intact sheets, it is essential that you don’t allow the substance to spread. First, power tools are off the table. You can’t risk them disturbing the integrity of the sheets or causing the very spread of fibres that you are trying to prevent. Power tools might let you work them out of the wall better, but the risk is too high. Sanding discs are a terrible idea, too. Abrasive cutting is also in the same vein. These things can also damage the sheets and cause the fibres to break away into the air. Compressed air does not damage the sheets if they are intact. However, this is only on a surface level. Deeper down, you’ll find that being blasted with compressed air causes smaller fibres to break off and become an airborne problem. High-pressure hoses also have the same issue as compressed air. If you force it, you could break off small pieces and fibres. If you encounter asbestos on the roof, don’t walk on them. They are stable, but other areas of roofing might not be. If you need to clean them, get a professional. Once the roof comes crashing down, there is not only a damaged roof but also a guarantee that you’ve breached in the fund. Asbestos should not be left around for anyone to step into or have. Whenever possible, do not ever handle the material on your own. Leave it untouched for the professionals to handle.